Moscow said that the plane was scrambled when as unidentified flying object was detected heading for the Russian border. 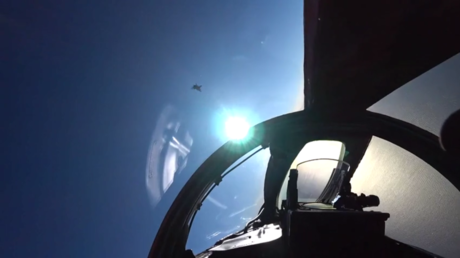 The Su-27 approached the aircraft and identified it as a US Navy ??-3? Aries II – a commonly used surveillance plane. The ministry said that the jet shepherded it “at a safe distance” before the spy plane changed course away from Russian airspace.